Hey guys! I have another tape mani for you. I don't totally love how this came out, sometimes it just looks better in your head! But I'm continuing my project of trying to catalogue my polishes here and use them! This is is OPI You Only Live Twice from the 2012 James Bond Skyfall collection, another Publix find for me! This is my first time using it and MAN isn't it pretty!! 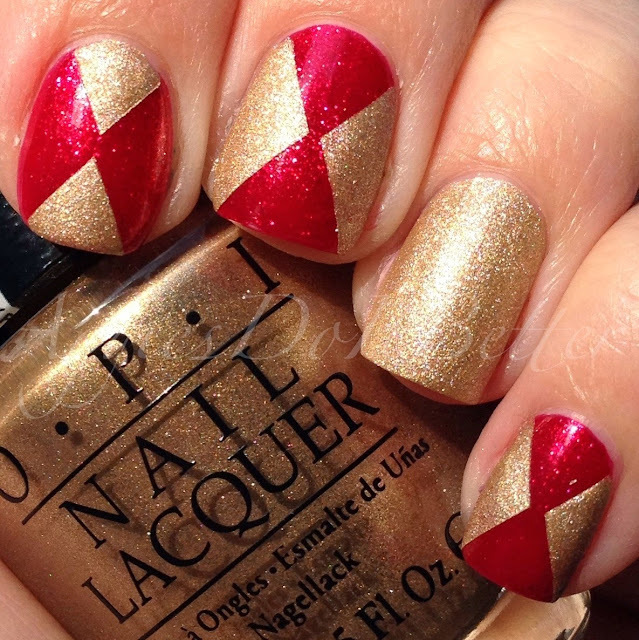 The gold is OPI Love.Angel.Music.Baby from this years Gwen Stefani Collection....old news, I use it all the time haha! This is You Only Live Twice by itself. GAH So pretty!! This one is really something special and I'm so glad I have it!